Daniel Passino from Team Pharrell sings ‘I Don’t Want to Miss a Thing’ by Aerosmith on The Voice Season Top 10 Live Shows on Monday, May 2, 2016. “This not happen overnight. You got a wild ride on the show, you’ve been a lot of ups and downs. You did a good job,” said Adam Levine. “You just put your soul and heart lay it all out on the table. I hear some pitch issues but I could tell that you are so invested and you wanna be here,” said Christina Aguilera. “I definitely heard pitch issues but you live the moment. The big note came in under but pushed it and got it right where it needs to be,” said Pharrell Williams. 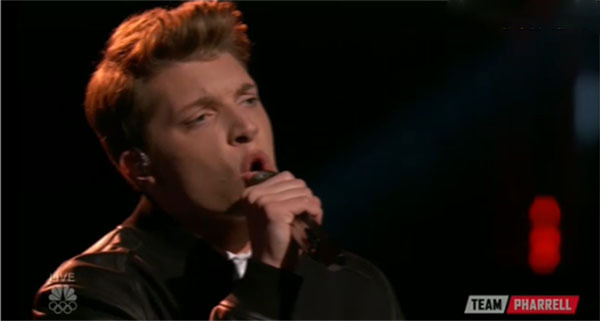 Did you like Daniel Passino’s performance tonight? Share your thoughts on the comment section.